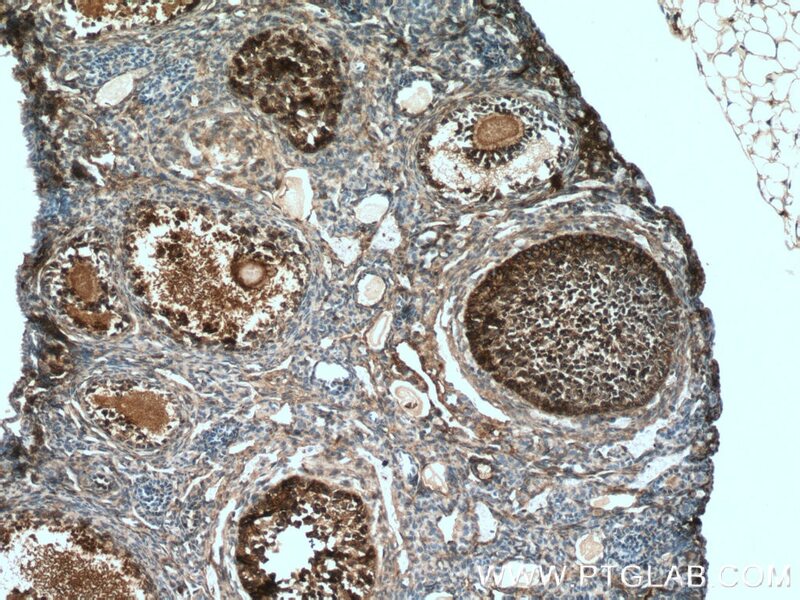 Immunohistochemical analysis of paraffin-embedded mouse ovary tissue slide using 14520-1-AP( UBC12 antibody) at dilution of 1:200 (under 10x lens) heat mediated antigen retrieved with Tris-EDTA buffer(pH9). 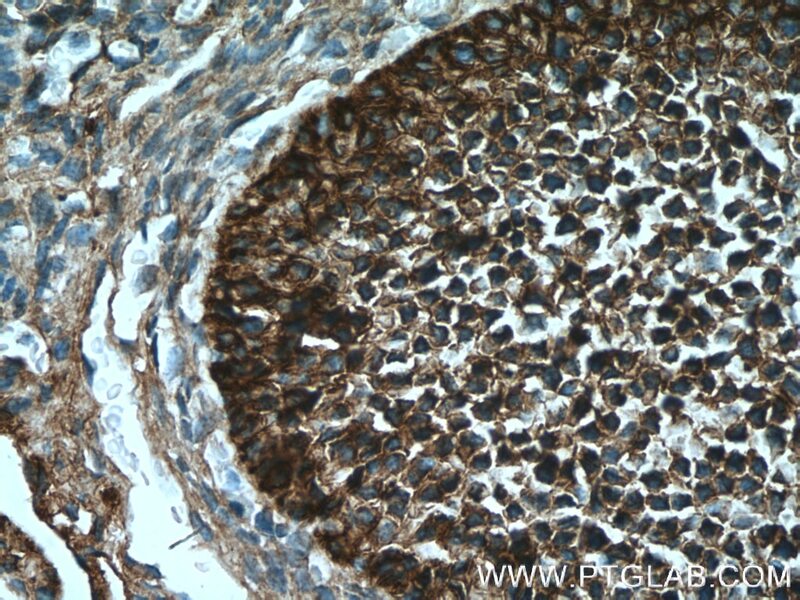 Immunohistochemical analysis of paraffin-embedded mouse ovary tissue slide using 14520-1-AP( UBC12 antibody) at dilution of 1:200 (under 40x lens) heat mediated antigen retrieved with Tris-EDTA buffer(pH9). 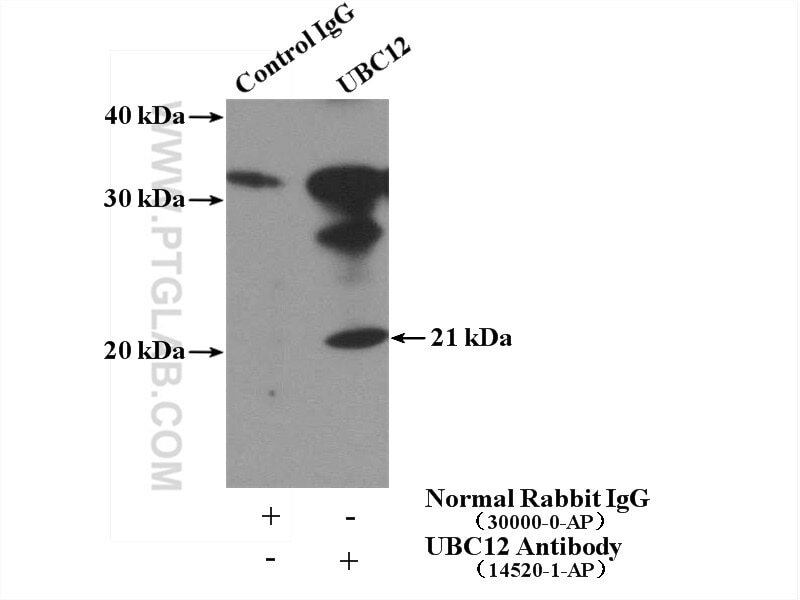 IP Result of anti-UBC12 (IP:14520-1-AP, 4ug; Detection:14520-1-AP 1:600) with L02 cells lysate 1800ug. 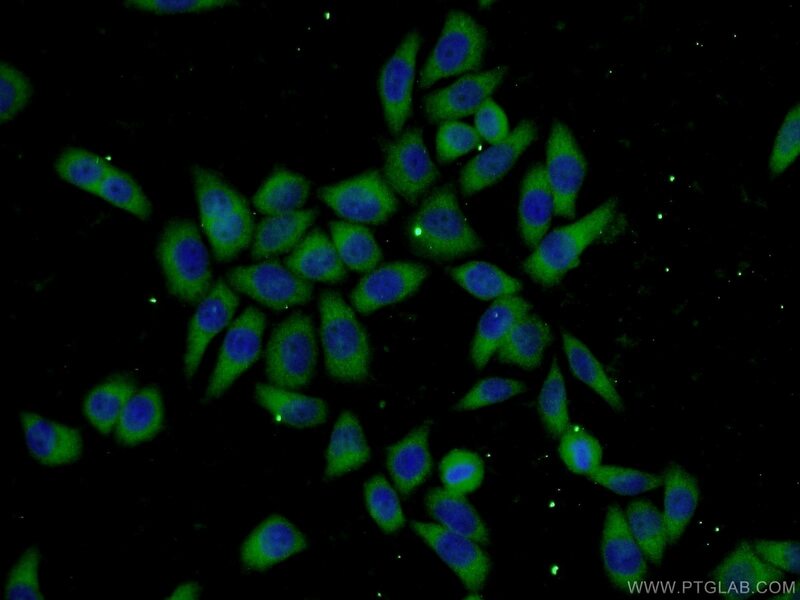 I tested a free sample of this antibody. No non-specific bands. Load 40ug of protein for a well (15 well comb) I wish I could use a higher dilution of the antibody. A potent small-molecule inhibitor of the DCN1-UBC12 interaction that selectively blocks cullin 3 neddylation. 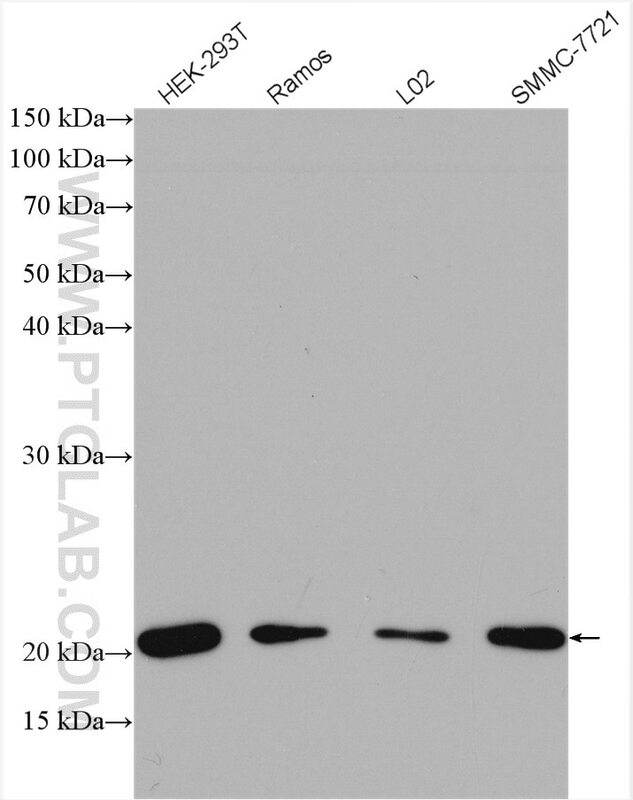 Disruption of protein neddylation with MLN4924 attenuates paclitaxel-induced apoptosis and microtubule polymerization in ovarian cancer cells.